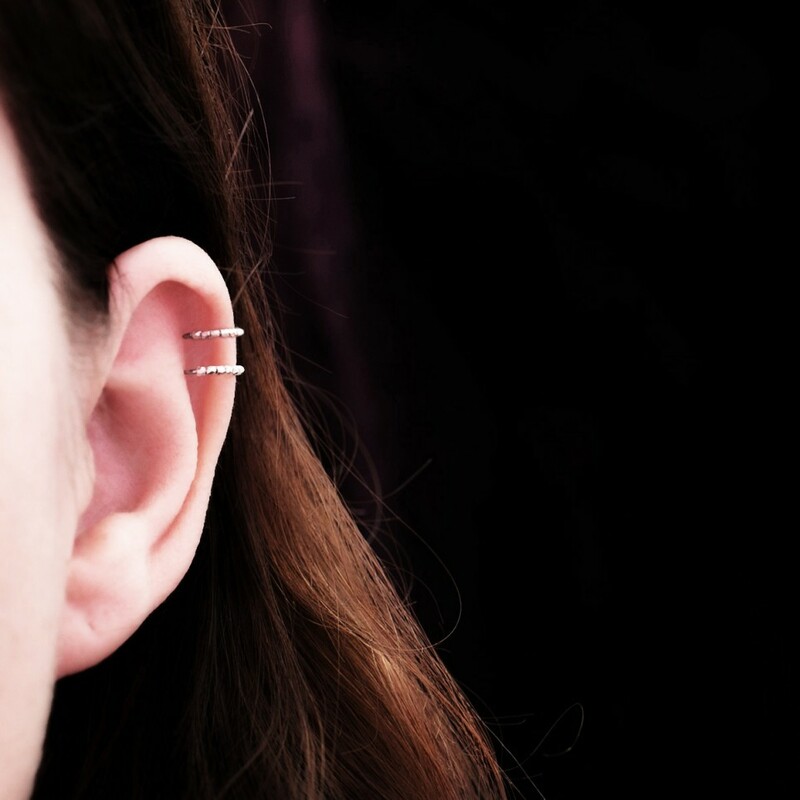 Pure titanium cartilage ear cuff with bright silver faceted beads - Helix cartilage hoops - hypoallergenic for non pierced ears. 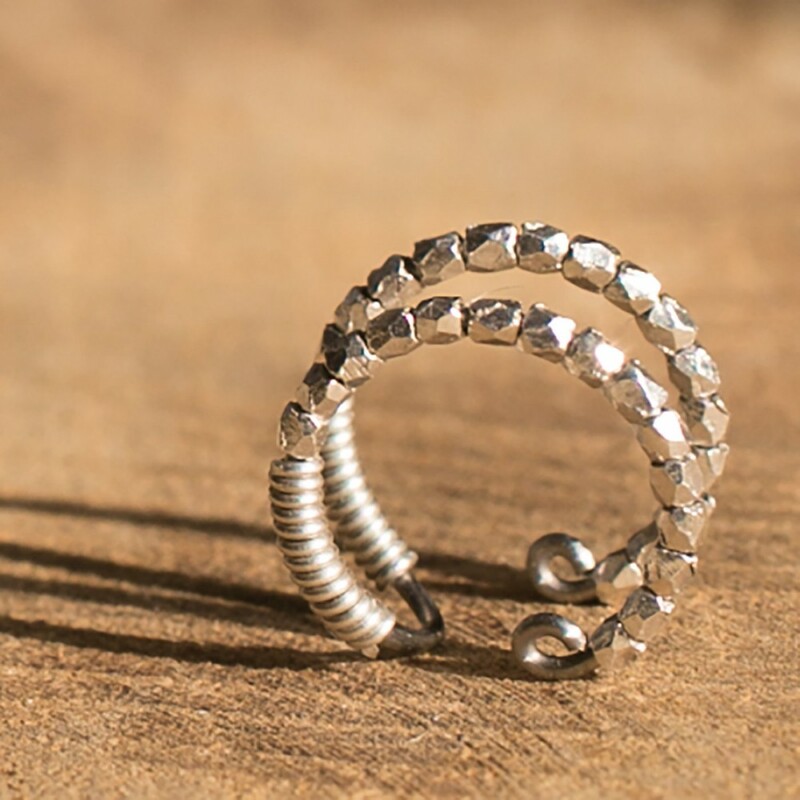 No piercing required :-) Cartilage ear cuff with two hoops, handmade of strong titanium wire and very tiny bright silver faceted beads. 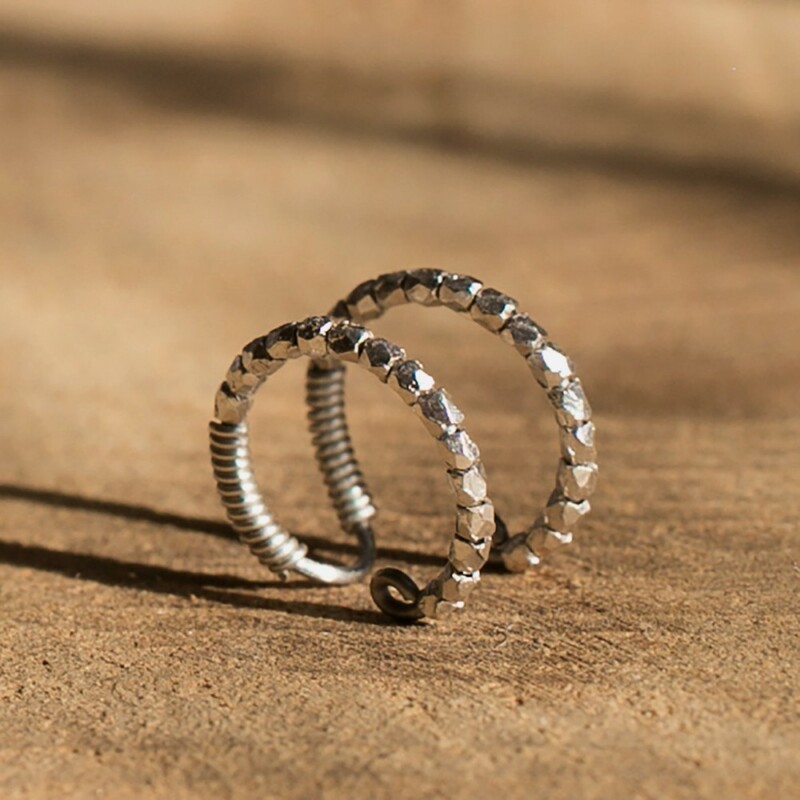 The complex shape of the beads make the hoops sparkle.